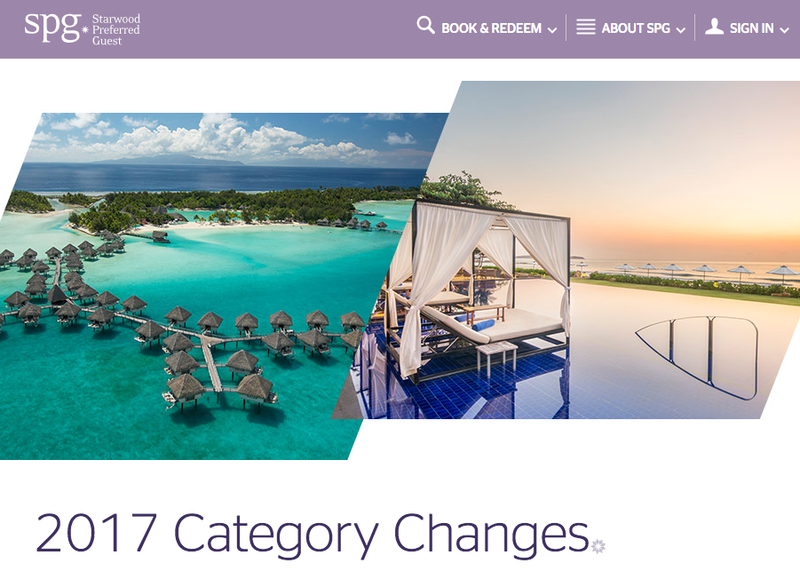 You may recall from earlier this year that we already mentioned the category changes for IHG Rewards Club and that we could expect changes from Marriott and Starwood as well. Those changes are here. Remember, the actual amounts of points for redeeming for specific categories have not changed. 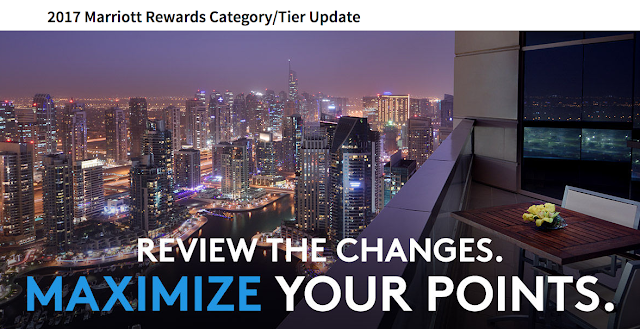 These changes are for the hotels themselves moving up or down to a different category. All of these changes will kick in on March 7th. As we always advise if you were planning to book one of these of hotels on points or free night certificates, and there is a good chance you are seeing that the amount of hotel changing make up a decent amount of Marriott's and Starwoods worldwide portfolio, book now if you can if the hotel you want is going up in categories or wait until after March 7th if you can to book if the hotel is going down. 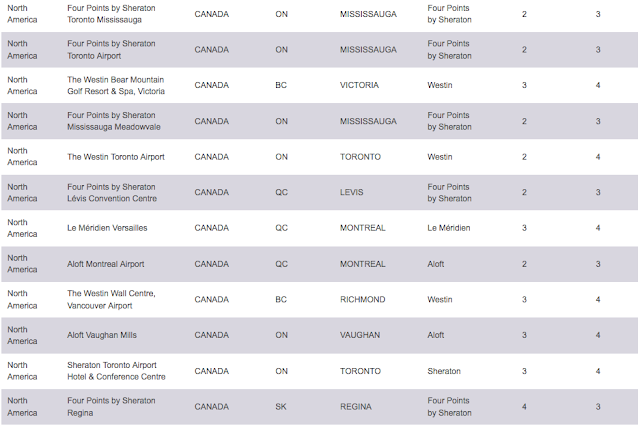 Marriott has well over 1,000 hotels changing categories this year and 24 of them are in Canada. 13 are going up a category and 11 are moving down. This isn't too bad, a pretty even split. One of the surprising changes is the Delta Calgary Airport In-terminal hotel. It moves from Category 4 to Category 5 which makes it the same as its new neighbour and in all honesty, the much better hotel, the Calgary Airport Marriott In-Terminal Hotel. Read our review of the new hotel here and see why if you are going to redeem to stay at YYC why you wouldn't even bother with the Delta now that it costs the same. You can find the complete list of Marriott changes here. On the Starwood side we see 40 of their hotels in Canada change categories. Overall the entire chain has 325 hotels changing categories. The 40 hotels in Canada is a significant portion of their portfolio here! And its not so good news, 38 of those 40 are going up in price which means they will cost more points or may not be available for free night certificates like the Category 1-4 certificate that comes with $40K in spending on the Starwood Preferred Guest Credit Card from American Express. Two hotels even have significant 2 category jumps higher, the Westin Toronto Airport and the Four Points by Sheraton Halifax both go from being Category 2 hotels to Category 4 hotels. You can find the complete worldwide list of the Starwood Hotel changes here. What are everyone's thoughts on this years changes? Are there any hotels that you may have been planning to stay at that are affected? Will that change your plans? Let us know in the comments below!